In the year 2005, Blur frontman Damon Albarn managed to convince MF DOOM to rap over twangy guitar strings, Bootie Brown of The Pharcyde to share song space with a children’s choir and De La Soul to take a trip to the depths of sultry synth-funk Hell; all so four cartoon characters could lament the end of a dying world eerily similar to our own. These four were Gorillaz—the world’s most successful virtual band, created by Albarn and artist Jamie Hewlett in 1998—and when I was 13, their sophomore album Demon Days changed my life. I was exposed to a lot of different music growing up. Through childhood, The Temptations, Aerosmith, Sade and Santana bounced off of my parents’ walls while the car radio jumped between Radio Disney and 98.7 back when it was still KissFM. As I grew older, hip-hop, punk and metal began calling my name, dragging me between different friend groups like a Stretch Armstrong ready to burst. It’s easy to forget just how isolated circles can be during middle and high school, but trying to bring up Lupe Fiasco in the same conversation as Fall Out Boy would more often than not create an awkward vacuum of silence. 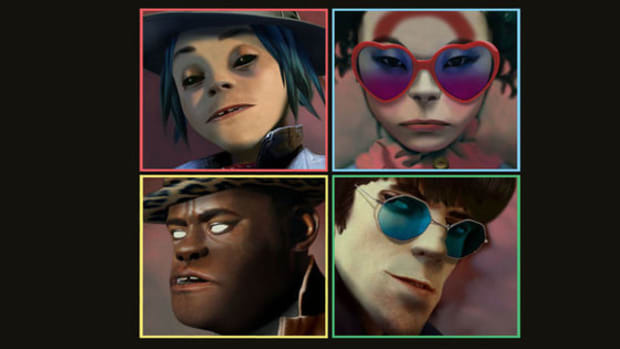 That all changed when I first saw 2D, Russel, Noodle and Murdoc rear their beautifully deformed heads. I was already familiar with “19-2000” and Del the Funky Homosapien’s star-making turn on “Clint Eastwood” from their eponymous 2001 debut album, but I hadn’t seriously listened to a Gorillaz song before. I was in it for the cool cartoon characters whipping a jeep down a winding freeway. But the minute I heard the chunky bass riff from Demon Days’ lead single “Feel Good Inc.” the whiplash was jarring. 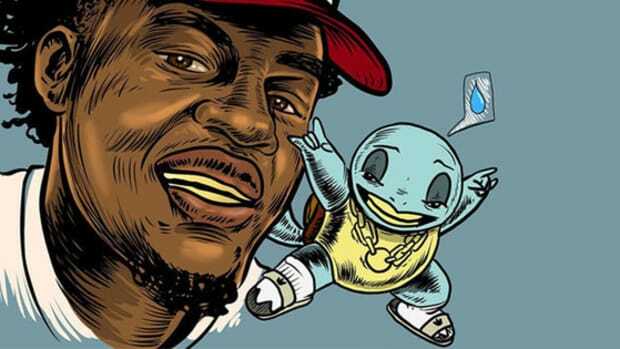 This had rappers? On the same track? And it sounded that good? 13-year-old me couldn’t stop bobbing his head. 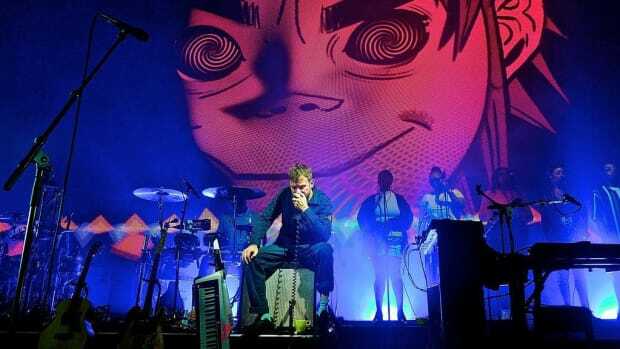 2D’s (Albarn’s) ghostly wails against herd mentality (“City&apos;s breaking down on a camel&apos;s back / They just have to go ‘cause they don&apos;t know wack / So all you fill the streets, it&apos;s appealin&apos; to see / You won&apos;t get out the county ‘cause you&apos;re bad and free”) were the perfect foil for Dave of De La Soul’s manic calls to consumerism (“We gon&apos; ghost town this Motown; with yo&apos; sound, you in the blink / Gon&apos; bite the dust, can&apos;t fight with us; with yo&apos; sound you kill the inc / So don&apos;t stop, get it, get it; until you&apos;re cheddar heavy”). “Feel Good Inc.” was just a taste of Gorillaz’ eclectic genre-mashing, the likes of which I had never heard in my life. Demon Days was a world-weary album in both concept and content, pushing house, Afropop, funk and indie rock through a hip-hop filter, courtesy of producer Danger Mouse. It had a universal and “edgy” sound that reached across lunchroom tables and cliques to connect people that might not have otherwise talked, vindication for teenage angst that’s actually managed to hold up as quality music outside of the animated packaging. I even felt the urge to go listen to Blur. More importantly, however, it was my introduction to a shitload of important rap figures. 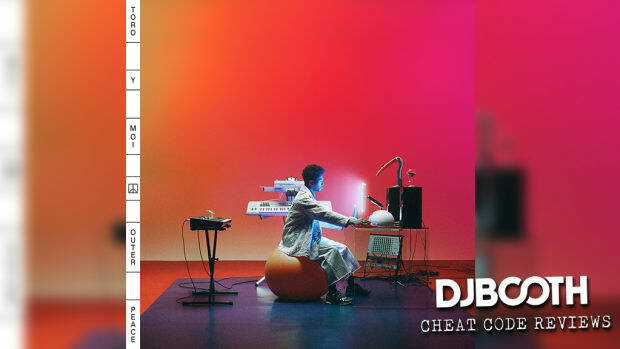 De La had already showed and proved on “Feel Good,” but the gloomy twang of “November Has Come” was my indirect introduction to MF DOOM before falling in love with his and Danger Mouse’s collab album The Mouse and the Mask. Bootie Brown’s high-pitched story of military PTSD on “Dirty Harry” prepared me for the trip I’d eventually take on The Pharcyde’s Bizarre Ride. Demon Days didn’t just connect me to a new voice in Albarn but bridged the gap between me a generation of older indie rap luminaries I hadn&apos;t known existed. Demon Days held me over through high school and their 2010 follow-up Plastic Beach followed me through college, so you can probably imagine my excitement when the track list for Gorillaz’ upcoming fifth project Humanz leaked out onto the internet. 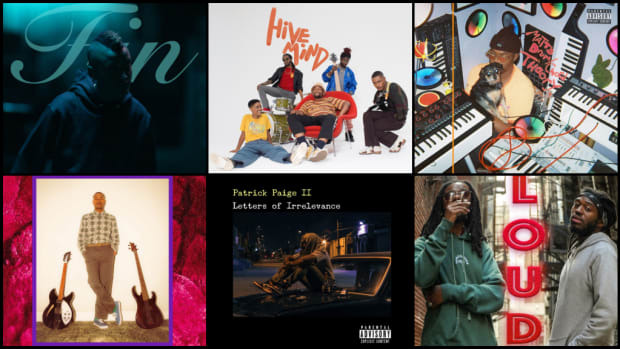 Out April 28, it’s their most guest-heavy album to date, stacked with music veterans (Grace Jones, Jamie Principle, De La, Pusha T) and the newer generation’s brightest (Vince Staples, Danny Brown, Kali Uchis, Benjamin Clementine). While the Clementine-featured single “Hallelujah Money” was alluring, their three newly-released singles—“Ascension,” “Saturn Barz” and “Andromeda”—has me feeling like I&apos;m 13 again, like my feet might not ever stop tapping. As a newly minted 25-year-old, the gap between hip-hop heads young and old is a topic I’m forced think about on a near-daily basis. Many continue to herald Lils Yachty and Uzi Vert as the death of hip-hop instead of acknowledging their boundary-pushing style and celebrating the fact that so many sounds can exist under the same roof. Can Gorillaz continue to make music that works to unite such warring factions? Can Gorillaz make music that will even reach the younger side after such a long hiatus? If these new singles are any indication, there’s hope. 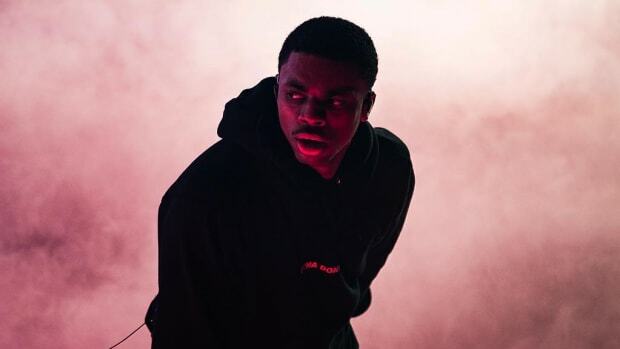 “Ascension” sees Albarn’s vocals fade into the bridge as Vince Staples documents the plight of Black America over clanking drums and choir samples on the apocalyptic track—it sounds like driving through a solar eclipse with the top down. Popcaan takes a trip around the rings of Saturn with ethereal synths on “Saturn Barz,” while D.R.A.M.’s vocal layering adds soul to the discotheque dance floor glitz of “Andromeda.” All three records roll out the red carpet for its guests while still bringing them inside Gorillaz’ universe, a testament to the magic Albarn and his production collaborators conjure behind the boards. And we haven’t even heard the Pusha T, Danny Brown, Kilo Kish, or Kali Uchis features yet! Gorillaz’ last project The Fall came out in 2011, back when Pandora was the only streaming service anyone took seriously. It&apos;s been a long time, too long to expect many younger listeners to be in tune with the group&apos;s commercial and critical acclaim. The music industry is finally catching up with the times, though, and younger fans are coming up in the worlds of streaming playlists the same way that I downloaded Freeway and Kelis songs off of iTunes in the early 2000s. 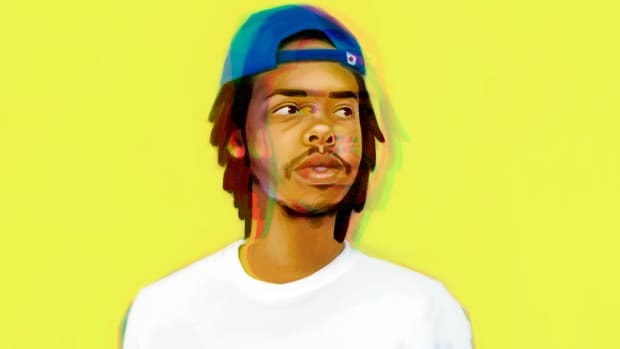 There’s a level of trust that comes with today&apos;s curated playlists that might make it easier for someone to take a chance on a song by an artist they’ve never heard of, especially if that song just so happens to feature Vince Staples, D.R.A.M. or Popcaan. Maybe those kids will go on to then discover De La Soul just as I had in the same fashion. Since the band’s start, Gorillaz projects have been adventurous and uncompromising when it comes to blending genres and connecting worlds. 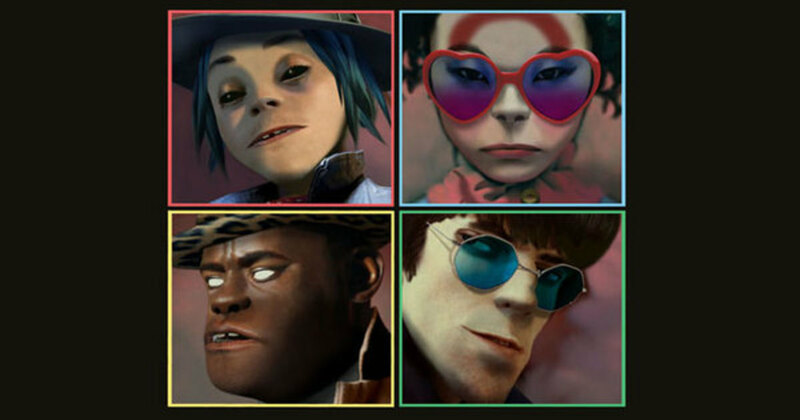 Just as Demon Days was one crucial album in helping me realize that lines don’t have to be drawn between young and old, Humanz has an opportunity to do the same for the youth of today. 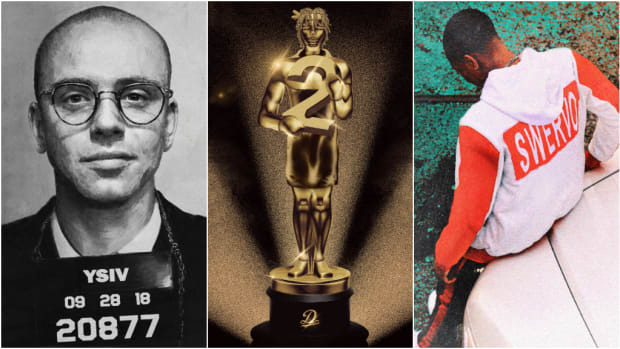 Busting down genre walls is much more commonplace these days than it was in 2005—thanks to artists like Kendrick Lamar, GoldLink, Danny Brown, Childish Gambino and more—but as the fight between hip-hop heads old and young rages on, Gorillaz are in a unique position, not only to help unite the world in the midst of a Trump presidency but to help unite disjointed generations of music fans with such a wide-ranging selection of collaborators. I’m happy for and envious of every kid still in school who will press play on Humanz for some fire verses and leave with some new favorites and a link to the past like I did over a decade ago. Gorillaz may be 16 years removed from their debut and returning to a world that is far different from the one that existed during their last outing, but here’s to hoping that their transformation into Humanz is right on time.